Soul Plan has its roots in an ancient text called the Sefer Yetzirah. The English name for the text is The Book of Formation. It is theorised that the Sefer Yetzirah is one of the oldest, obscure and mystical texts which has influenced many Western esotericists, kabbalists and alchemists. It presents a theory of creation that links letter sounds to the different aspects that make up material existence and the polarities of the everyday world. The Book of Formation is thought to be one of the first references of the mystical meanings of the 22 letters of ancient Hebrew. It also postulates that reality can be seen as emanating from these 22 letters and therefore these letters represent the different facets and energies that make up this world. If we accept humans as being a microcosm of the whole, then it is not a large leap of faith to determine how these 22 energies are present in individual humans. In this system, a human being is understood to be a microcosm of the wider creation and therefore embodies and experiences all the 22 energies inherent in the letters of creation. Understanding how these energies are affecting an individual provides a useful structure for understanding an individual incarnation. Converting English names into ancient Hebrew, provides the method required for deciphering the meanings of a name. Our soul is a fractal point within an extensive and elaborate fractal design, which reproduces itself within the macro and the minutiae of our existence. Within everyday realty, we experience an aspect of our "Soul fractal" as it is seen through the lens of our existence on Earth. As we increase our vibration, our fractal segments become larger and we incorporate more of our Soul into the moment to moment framework of our lives. The Soul Plan Reading is derived from the Sound Vibration of your original name (the name that appears on your birth certificate). This produces a set of frequencies, which are placed around the Star Tetrahedron in various positions. A Soul Plan allows the guidance, that is leading us, to be seen. In relationships, when two vibrations share the same space, as with music, those vibrations are modified to produce harmony or discord. Your child, or partner actually takes on an aspect of your frequency. A part of you is vibrationally taken in by other people. You propagate your own vibration by being around other people. For those who wish to evolve, transform or become more yourself. 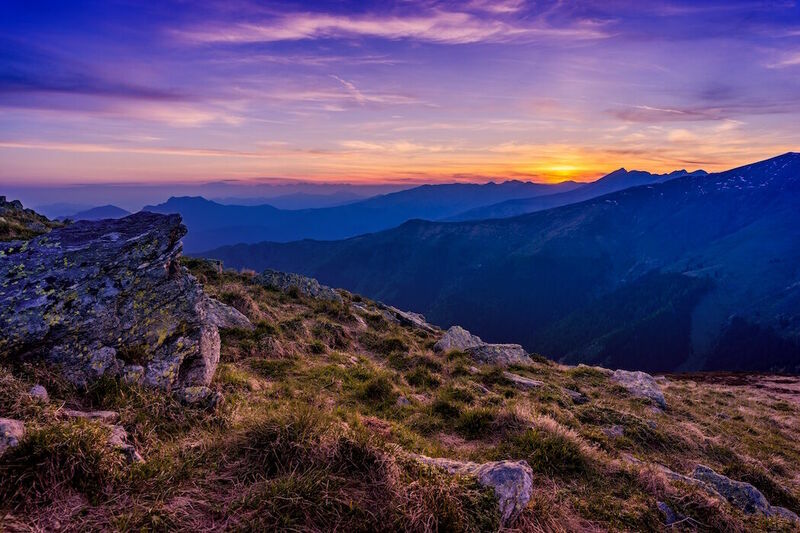 Soul Plan sessions help you to decipher the Soul energies that your soul has encoded into this reality for you to master, and the session gives you some proximity to your own every day guidance. A Soul Plan Reading enables you to see how your Soul’s energy relates to everything that you are doing. This helps you find easier alignment to things. Plus, it helps you to understand why you feel compelled, or passionate, in many areas of your life; why you do the things you do, or how you respond to situations and life events. The session includes a very deep healing at the end. For those that need the background and principles. The universe responds to your vibration and that response is the life you experience. When you modify your vibration (by changing your attitudes, beliefs, constitution, etc. ), you change the universe's response, and consequently, you modify how your life unfolds. The soul fractal also contains obstacles and trials for you, which are in fact exercises designed to assist you to recognise your Soul’s frequency. You have to figure out the challenge, and if you succeed, you come out holding a valuable treasure of experience, from which you can determine where your soul is going next. The Soul does not make mistakes. 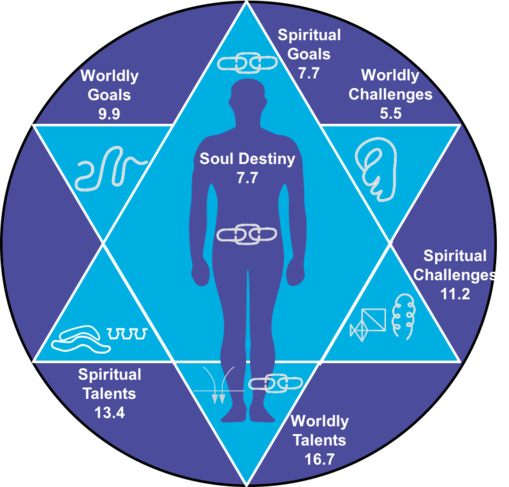 Each position in the chart has a special significance - the downward triangle relates to the physical worldly existence - usually predominant in approximately the first 35 years of life. The upward triangle relates to the spiritual aspect of life and usually is only felt towards the end of 35 years. However, many individuals are now being influenced much earlier by their own spiritual aspects. Once you master your main worldly and spiritual energies you should be well on your way to addressing your Soul’s Destiny. For those that like to hear reasons to have a Soul Plan Reading. If this work resonates, a Soul Plan Reading is a useful guide to show you the predominant energies, themes and experiences that your soul intended for you to master or explore. This can provide another level of validation for some, and can help provide guidance for others who are feeling stuck or disconnected from their soul’s purpose. It can help illuminate the intended learning represented by the obstacles in one’s life. For many this will provide a great sense of relief; it will also increase your confidence, alignment and sense of purpose, as well as giving you a far greater insight and understanding of your true nature. A Soul Plan Session lasts up to 3 1/2 hours and includes a Soul Energy Realignment Healing at the end. The first 2 hours are quite cerebral where you will receive a lot of insight and information into your life. It's like a deep life coaching session, dealing with the fundamentals of your existence and how your energy comes into the world and impacts others. Quiet time to reflect is recommended after the session. You will receive a copy of your Soul Plan for later reference, plus you will get a recording of the session. Soul Plan uses the vibration of your full birth name to generate your ‘Star of Creation’. This is the contribution of the late Dr Frank Alper who in his ‘Spiritual Numerology of Moses’ system introduced an ordinal method of Gematria based around a six-pointed star. Frank Alper contributed the method of spiralling the Hebrew vibrations of one’s name around a star tetrahedron that could be seen as an energetic structure overlaying the person. We use this method as the foundation to generate a chart that will depict your Soul Plan. It is believed that the birth name has been inferred by the name givers from the Soul of the child to be named. In simple terms your birth name can be read in such a way as to indicate the energies that your soul has brought with it in this life. In this present format Blue Marsden founder of the Holistic Healing College has extended on the original, added new interpretations, added some elements of numerology and channelled additional material. This is presented with, where possible, a non dualistic, more androgynous and modern orientation relevant to the 21st century and our current time. Everything we do is governed by our soul. Even down to the colour or style of clothing we choose to wear and the food we eat. Even the Ego holds the soul energy patterns. The soul is literally living itself out through you. The influence of our soul on our life can be likened to being in a cave and hearing our voice echoing back towards us after we have yelled deep into the cave. Our incarnation sends out a 'sound wave' of our soul's vibrations, in all directions; and everything we experience in life is the echo of our Soul's vibration coming back to us. Anytime we seek guidance about our ‘path’, we are trying to understand how our Soul energy unfolds or wraps around this segment of reality, so that we can figure out how the movement of this energy becomes our future direction. If we are lucky, we notice the small chunks of information given at any one time, which reveals aspects of our path. We are always on the right path, but our ignorance of the Plan for this reality, causes many of us much anguish and stress. If you want to know why you do some of the things you like to do, you have come to the right place. Those things or events that make you feel “right” or “connected”, are tools or situations to enable you to recognise when you have attuned your awareness to your Soul’s fractal energy.